The film also marks the debut of 9-year-old YouTube sensation Ananya Rajendra Kumar from London as the lyricist. Anis, who earlier directed Thirumanam Ennum Nikka, is trying out something new for his second venture. He has adapted William Shakespeare’s Macbeth for his next titled Pagaivanukku Arulvai, which is a first ever such attempt in Tamil cinema. The songs of TEN in Ghibran’s music were chartbusters. And for Pagaivanukku… also Anis has brought him on board to helm the music. The film also marks the debut of 9-year-old YouTube sensation Ananya Rajendra Kumar from London as the lyricist. Anis reveals, “There is a particular song which we felt will have a childlike freshness and innocence in thoughts and decided to rope in a kid to pen the lyrics. It is learnt that Ananya Rajendran will be hosting the celebrated “Thanga Tamizh Kural” music based reality show for IBC Tamil channel on December 8 in Switzerland. The team of Pagaivanukku Arulvai is excited to unveil the title logo of this film amidst huge crowds with Tamil participants from 120 countries taking part. The film features Kannada actor Satish Ninasam of Lucia fame in the lead role. 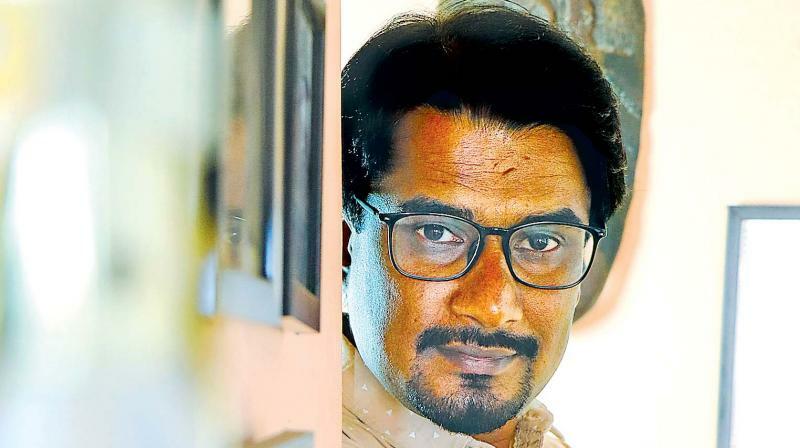 Shanmugha Sundaram, who received accolades for 96 is the cinematographer. The other cast and crew are just being finalised and the shooting of the move should be commencing soon.